Whether you are a Scrooge, a Grinch or a firm believer in the power of stockings, Christmas is a holiday which never fails to envelop you with its magic and the warm, emanating smell of plum cakes. With a holiday in the middle of the week, the crisp chill in the air, a cup of hot chocolate with floating marshmallows and a good Christmas-sy book, the holiday cheer cannot fail to put you in the perfect mood. With that thought in mind, here is a list of our top 5 books for Christmas that you can read under that warm blanket which keeps beckoning to you. 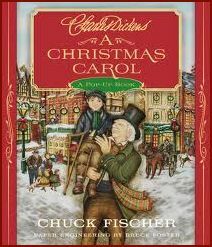 What better book to begin with than a Christmas classic where a miserly old man embittered towards Christmas is visited by the Ghosts of Christmas Past, Present and Future to help him see the error of his ways and seek redemption. A heartwarming book rich with the message of goodwill and cheer, it cannot fail to warm the cockles of your heart, even if is the hundredth time you are reading the book. It is a short novella and perfect for the Christmas afternoon. Need more convincing? 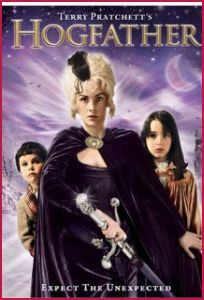 How many books do you know which qualify as both a ghost story and a fairy tale with a happy ending? “Christmas won’t be Christmas without any presents”, grumbled Jo, lying on the rug. 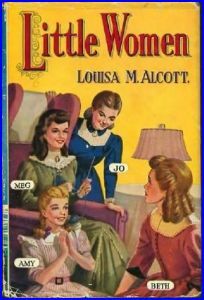 Little Women is not a traditional Christmas book. It is also very old-fashioned. It was old-fashioned even a hundred years before. But the book has a strong undercurrent of the Christmas spirit which influences its characters even outside the Christmas season. It is the story of a family of four sisters in nineteenth-century New England who undergo joys and tribulations and find their happiness in small and big things. It speaks of the joy of sacrifice, to make a loved one happy and to be true to your own self. It also unabashedly believes in happy endings. It is a classic, a romance, an adventure, and historical fiction rolled into one book and transports you back into the world where icecream was a thing of miracles on Christmas mornings. Not in the mood of saccharine tales of cheer and goodwill? Do you prefer your books to be more bloody and violent? Agatha Christie understands your more disturbing Christmas needs. This is the book where Christie satiated the desires of all her blood thirsty readers. The dead body is found with his throat cut lying down in a pool of blood while his family gathers around his home to celebrate Christmas. In comes Poirot like a jack-in-the-box to solve the murder mystery amidst the smell of blood and turkey. Not in the mood for a whole novel? 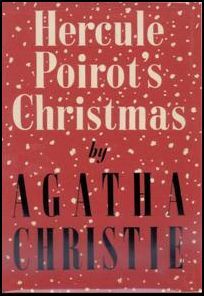 Try out the short story “The Adventure of the Christmas Pudding’” by Agatha Christie. She reminisces warmly about an old fashioned white Christmas while Hercule Poirot receives a curious warning about not eating any plum pudding. Add a ruby stolen from the heir to a throne, a love triangle and a disappearing dead body; this is the perfect mystery with whom to spend your Christmas. When it comes to holiday grumps, the Grinch can give Scrooge a run for his money. Now a traditional Christmas read, it is a delightful reminder that Christmas is not merely its material trappings but about togetherness, generosity and love for all mankind. And it rhymes! 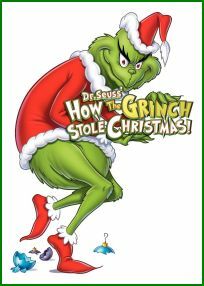 Even for those who have seen the movie version, the story of the Grinch’s redemption should be sampled through simple prose and the delightful artwork and be a part of every Christmas reading plan. How do you begin to describe Terry Pratchett? This book defines the necessity of our nature of belief. We need a Santa Claus (or Hogfather in the Discworld), we need the tooth fairy, we need the personification of Death because the world is a dark, scary place and fantasies help us make sense of our very own existence. If our fantasies disappear, the notion of mercy, justice, compassion disappears with them because reality; pure, unrelenting reality is too cruel. Our small lies about Santa Claus make the big lies about humanity believable. This might seem heavy but the book is incredibly entertaining. Pratchett, a fantasy humorist and a sharp satirist writes this fish-out-of-water story of a world where the Hogfather disappears and Death is forced to take his place and finds it hard to cope with the feeling of not being actively avoided. A clever, funny and oddly philosophical book, it will definitely make your Christmas an unusual and deep one. Have a Merry Christmas and let us know which books you are looking forward to read……. yet to read the last one. thanks for the tip.